New York Red Bulls fans can now scan, buy and share tickets as well as access unique matchday content at the MLS team’s home arena through its first-ever dedicated mobile app. Developed by Venuetize, the app offers a contextual feature that appears when users are at the 25,000-capacity Red Bull Arena, with the team aiming to enhance the fan experience. In addition, fans will have access to New York Red Bulls Radio (both English and Spanish language broadcasts), a weather widget and express ordering of concessions via Appetize. Fans will have access to in-depth content on the team, including news, photos and videos. 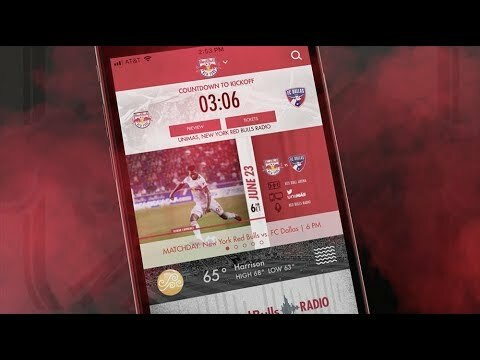 Introducing the New York Red Bulls App! Venuetize already works with Miami Dolphins, Los Angeles FC and AMALIE Arena, the home of NHL team the Tampa Bay Lightning.